I mentioned a few weeks ago that I'm going to start being a little more relaxed with my posts here on the blog. Usually on Fridays I would post my weekly favorites but I didn't feel like making a list today. 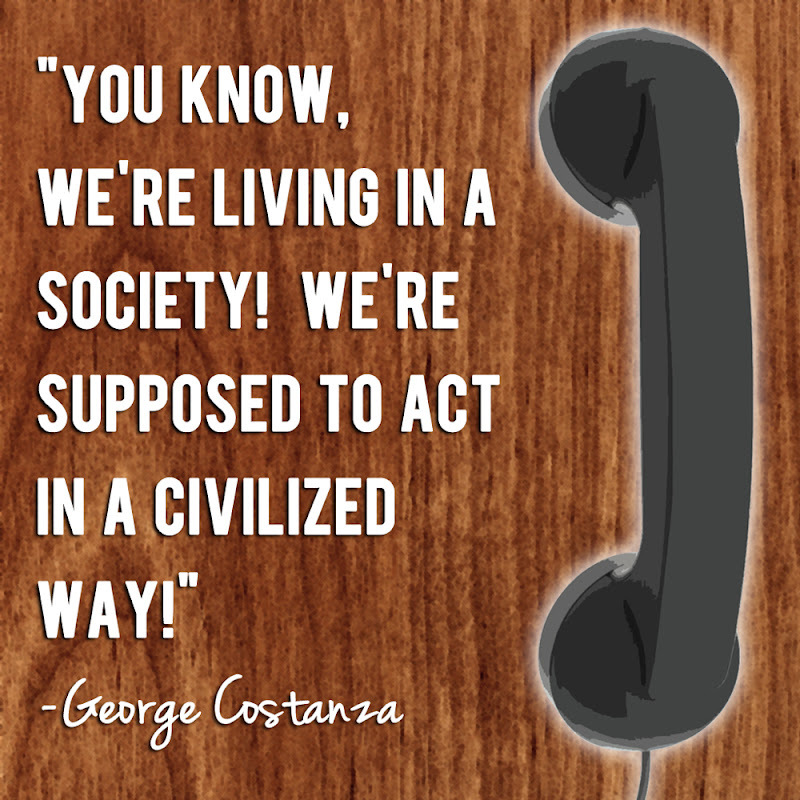 Instead, I felt like playing around in Photoshop with one of my favorite Seinfeld quotes... so I did! If you're as big of a Seinfeld fan as I am, you'll probably appreciate this. I felt like yelling it a few times this week. I'm just saying... sometimes people can be really ridiculous. Am I right? Don't recognize the quote? I found a snippet of the episode here. Kristin, I totally know what you mean. I want to scream this every time someone lets a door slam in my face or when I step in dog crap or here's a good one... the other night I watched three women use napkins to change a baby's poop-filled diaper on the table at a restaurant! Give me a break!